Reminder: Read the packaging carefully and be aware of what you are purchasing! 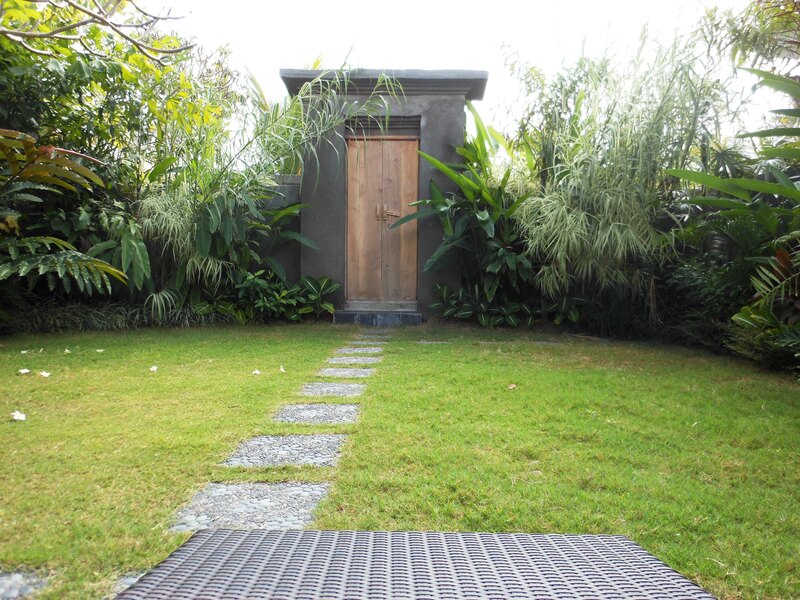 Exclusively Bali recently had the pleasure of staying at the secluded and very private Villa Jumah Bisma: a 2 bedroom/ 2 bathroom villa on the quiet Jalan Bisma, Ubud. Peace, serenity and nature await you at the Villa Jumah Bisma – a tranquil enclave and a perfect escape for romantic getaways, family holidays or fun vacations with friends. 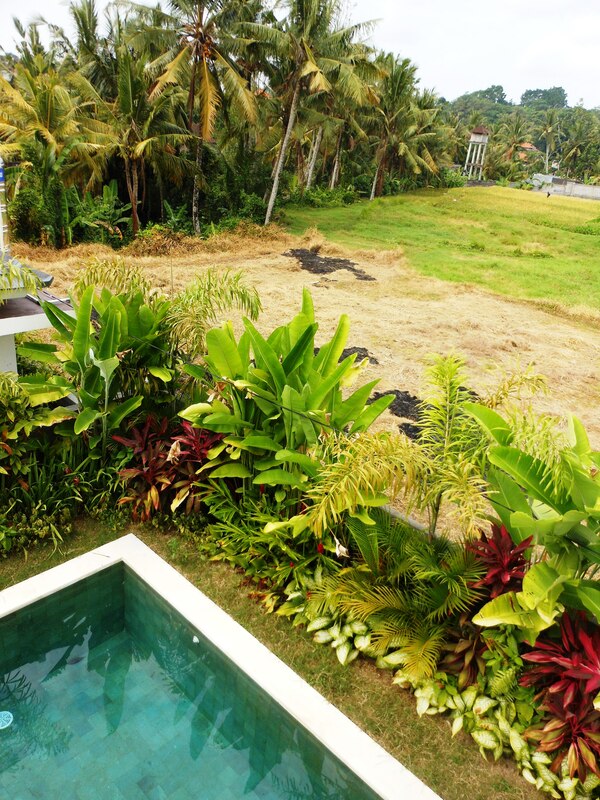 The villa is perched on a private strip of land overlooking green fields. 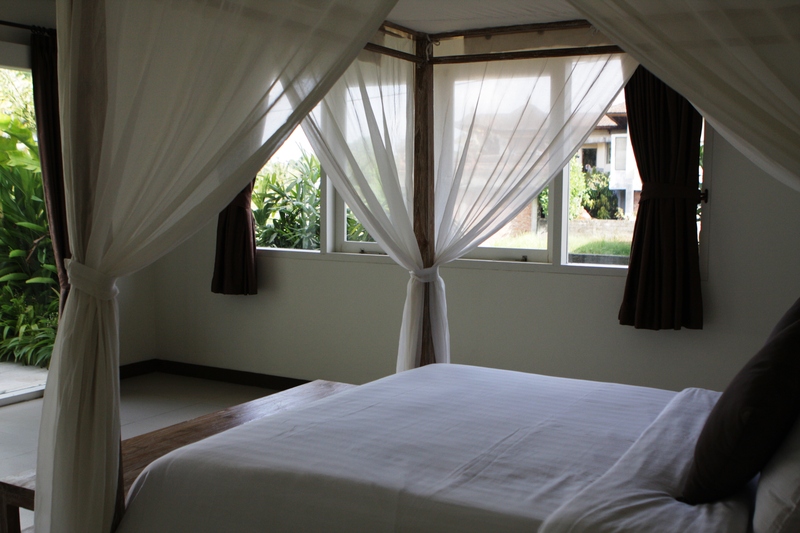 It consists of 2 spacious air-conditioned bedrooms, each with well appointed ensuite bathrooms. 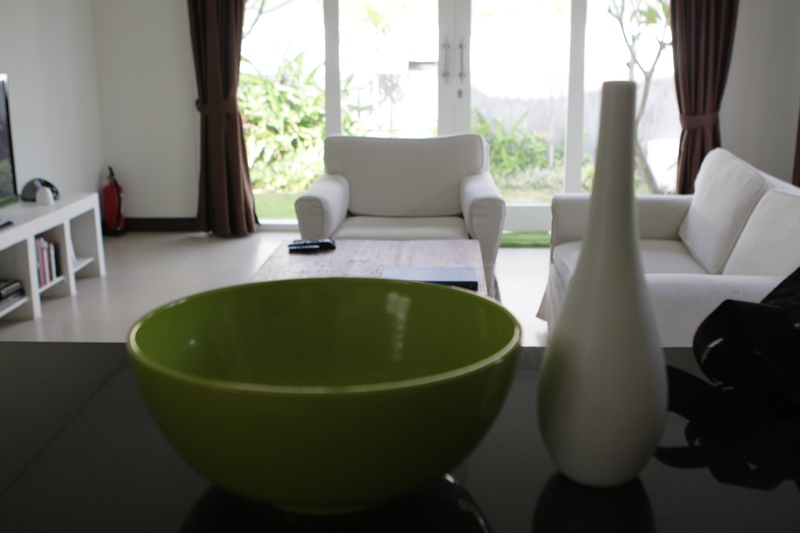 The bright, white walled fan-cooled living, kitchen and dining areas have natural accents and eye-catching art works. Included are TV, DVD player, ipod dock and sound system. 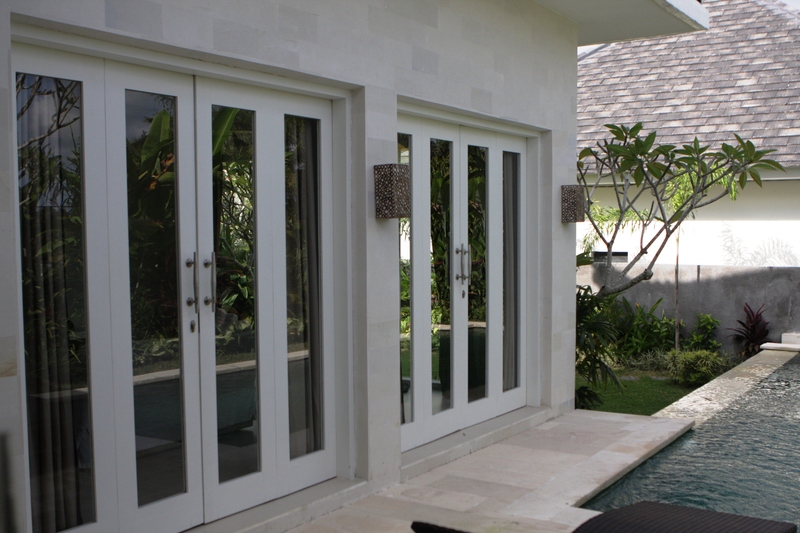 Multiple wood framed glass doors open onto a lush private walled gardens and infinity pool with sun lounges. 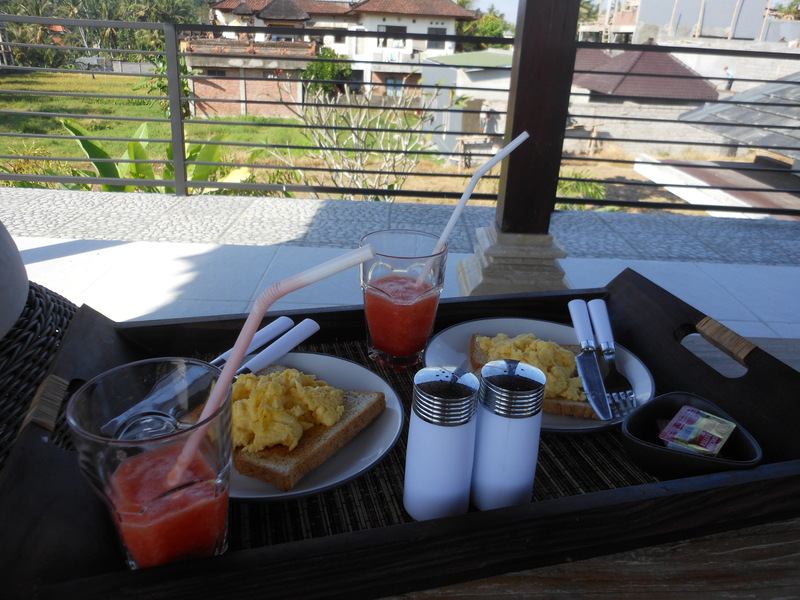 Breakfast is served at the rooftop, covered open-air bale where majestic green fields and verdant foliage abound. The rooftop bale is a perfect spot for morning yoga or quiet morning reflection. An approximate 15 minute walk to Monkey Forest Road as well as various spa’s and restaurants makes the Villa Jumah Bisma well positioned. Nearby restaurants also home deliver thereby allowing visitors the privilege of enjoying the villa completely, if they so chose. Reliable housekeeping staff clean daily and cook breakfast in a separate kitchen to the villa thereby maintaining a discrete distance. (Uniformed night security are also provided). Indonesian born, Nyoman and his Dutch born wife are the owners. They truly do keep these newly built villas in immaculate condition. 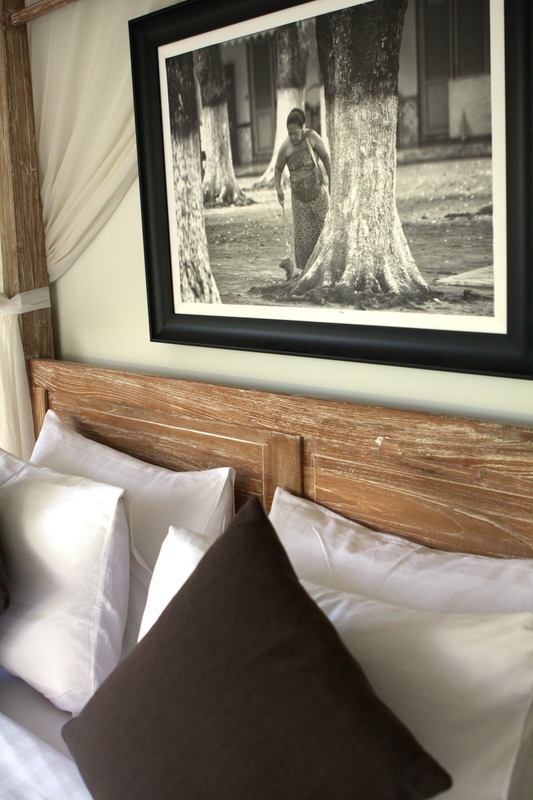 * Please be sure to tell Nyoman Exclusively Bali referred you ! 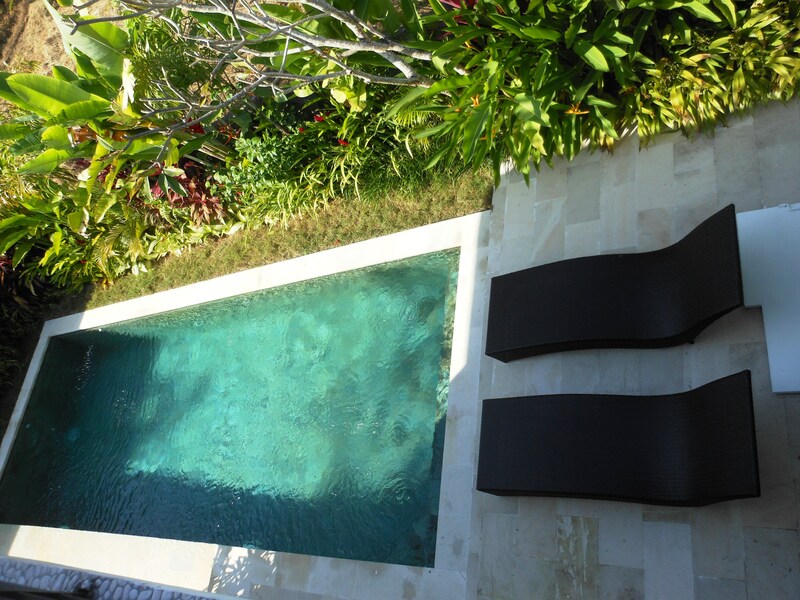 NOTE: Villa Jumah are a trio of 3 villas set back from Jalan Bisma. They consist of Villa Jumah Bisma and Villa Jumah Santanu (both 2 bedroom) and Villa Gangga (3 bedroom). Lets face it, one of the big attractions about holidaying is the fact that there is generally no cooking, cleaning or washing whilst away. 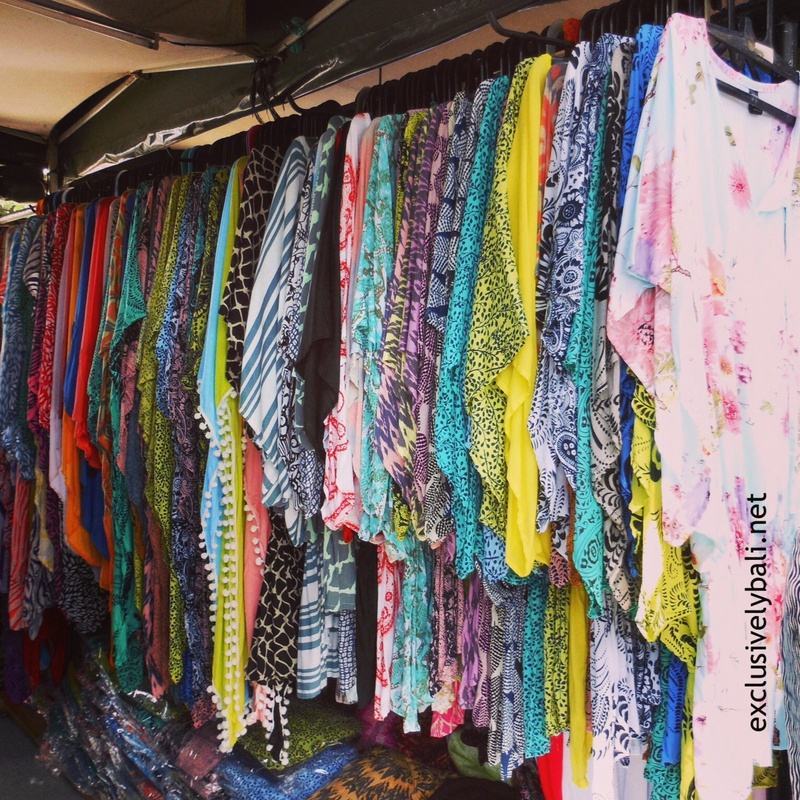 In Bali, it is inexpensive to have your clothes washed and ironed. 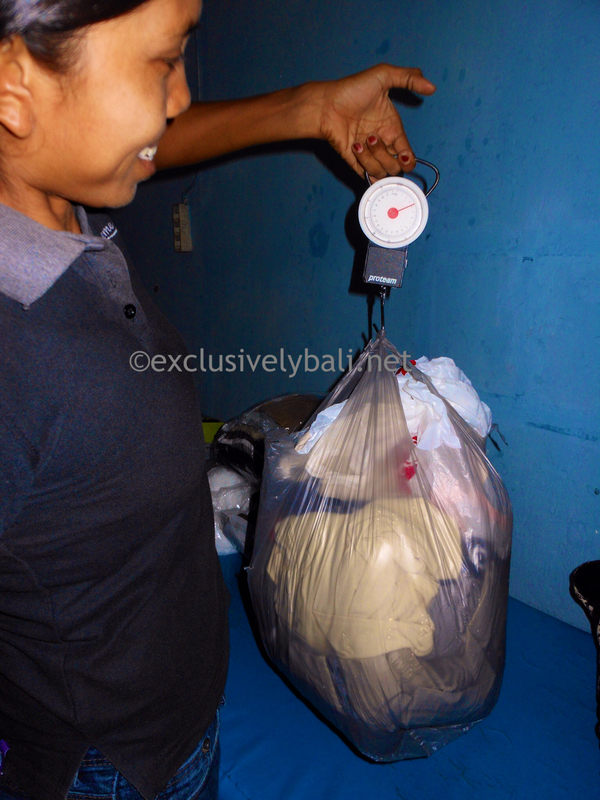 Hotels can be a little pricier, but local laundries are common in the tourist locations and charge by the kilo. Fortunately, you don’t have to walk far without seeing a laundry or 2… or 3! The cost is approximately $1 -$1.50 AUS per kg, and it’s a 24 hour turnaround. It is such a treat to have your washing done before returning home. 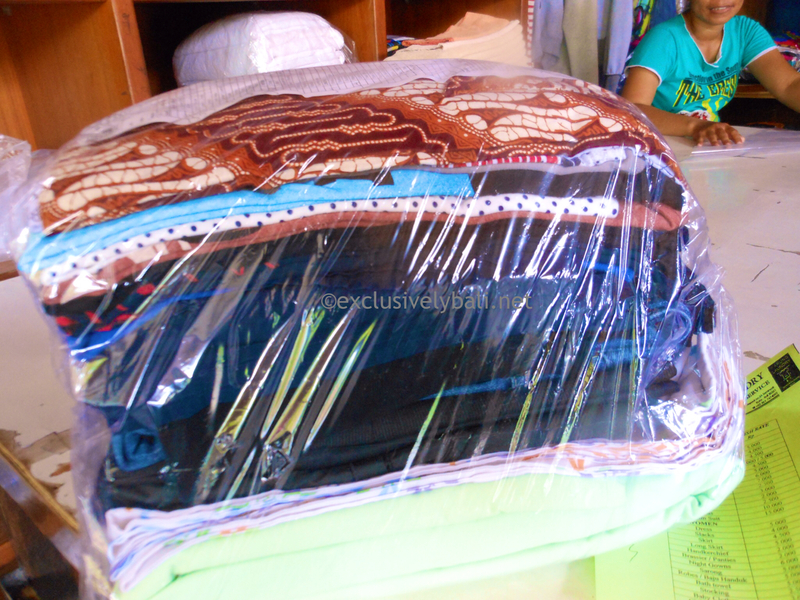 It will be folded and wrapped for easy packing too! HINT: Be cautious handing over super valuable or delicate items as laundries often use clothes dryers that can be quite harsh on clothing items. NOTE: Comments and recommendations are based on my own personal opinions or experience, or those of close friends. With the assistance of our average phone cameras these days, we’re easily able to capture special photos of loved ones including family, friends and pets – and holiday snaps too! Have you ever considered having these photos transformed into paintings? A favourite photo or memory captured forever in paint. 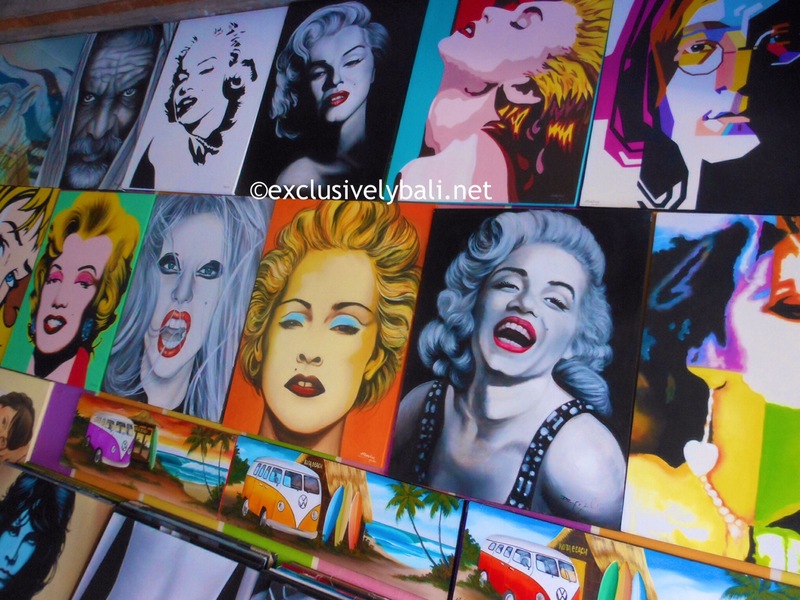 There are a number of artists on the island of Bali who do these. 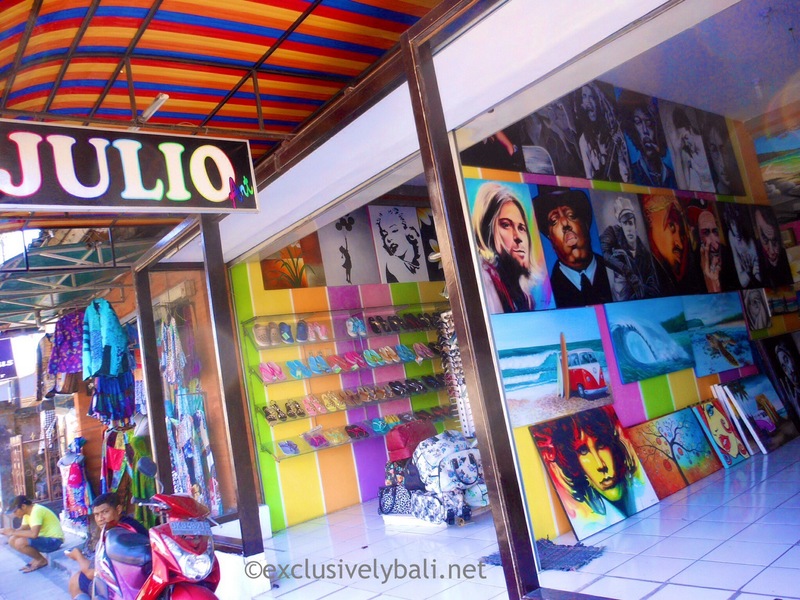 My all time favourite however, is Julio at Julio’s Art Gallery in downtown Legian. 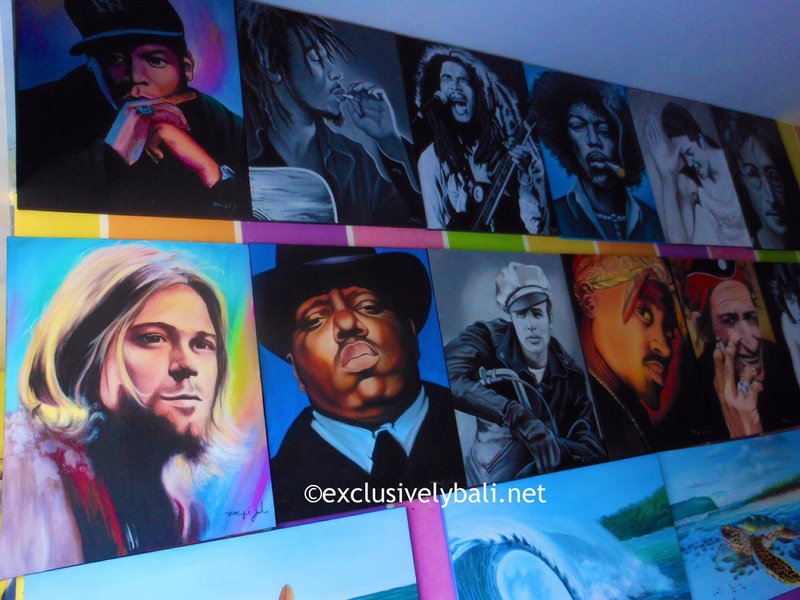 He has artfully captured the essence of my children on canvas, from photo’s and I adore his ability. I really do recommend Julio highly! Just take a photo for him to paint and depending on workload, a painting will be ready in about 3-4 days. They’re a fabulous keepsake for your family and something that can be passed on for future generations. I have seen family pets, loved ones who’ve passed, wedding moments and special family portraits there all captured by Julio in paint. If you use Travelex, always order online, lock in the best rate and pick up the cash at a branch since the prices will vary between airport and shop outlets. Don’t worry if you haven’t changed money to pay the $35US VOA. This can be paid in Australian dollars (allow approximately $45AUS at current rates) and change will be given in Rupiah. 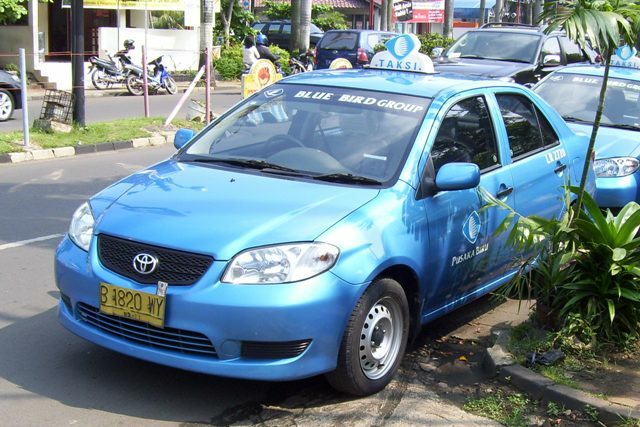 So handy to have a few rupiah to pay your taxi driver! While hotel exchange may seem convenient, beware of high transaction charges. Generally experts advise avoiding exchanging money at a hotel unless you have no other choice. Generally credit cards offer the most favourable exchange rates for changing money, since credit card companies have access to better rates than individuals. Be careful when using the credit card if your home currency is falling. Since the transactions are not converted instantly, there is a possibility that you will end up with a less favorable conversion rate a few days later. Money Changers are everywhere in Bali. Unscrupulous Money Changers are common: if the rate on a board seems too good to be true, it likely is! 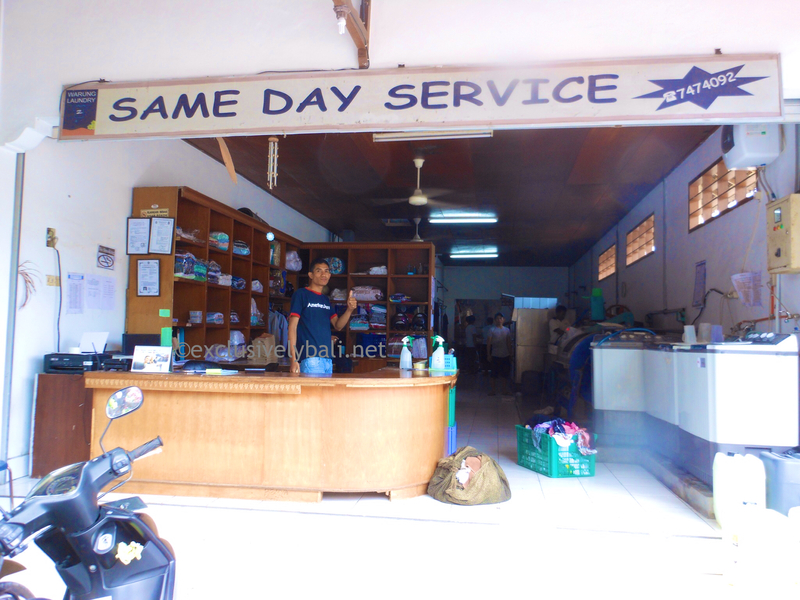 Always change money at Authorised, reputable dealers. Generally speaking, Kodak shops and Western Unions and banks are reputable. It has been said that the best day to change money is a Tuesday between 1 – 2pm since it coincides with the US stock exchange commencement of trading. I’ve never been pedantic enough to check this, but maybe you will? Don’t run all over town trying to get the best rate! If you’re only changing $100, the difference will amount to a couple of dollars at best. Best to change your hard earned dollars in denominations of $100 dollar notes for ease of calculating the exchange too. Note: An Authorised Money Changer must be formally authorised and identified with distinctive markers. 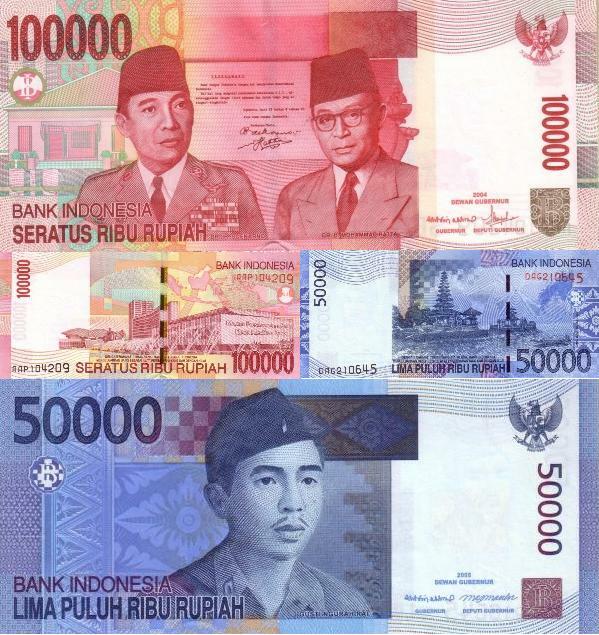 All Authorised Money Changers are obliged to use a logo, they must also prominently display their registration number provided to them by Bank Indonesia on their signboard. If there is no logo and registration number then they are NOT Authorised Money Changers. You get the picture! Be wary. 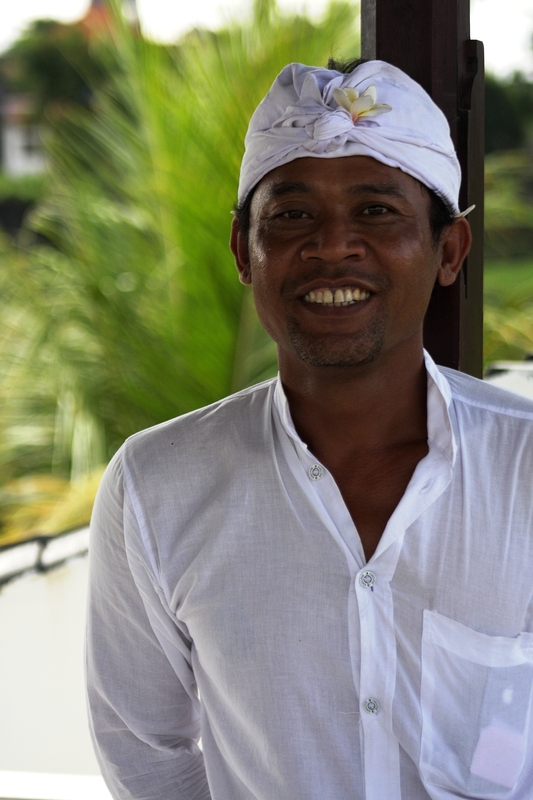 Having said that, the Balinese are fundamentally honest and helpful people. There is a reliable chain of money changers called PT Central Kuta (blue signs with white writing) that also give good exchange rates. I only change money at PT Central money changers. You will also see signs at the KODAK shops with PT central money changers written on them. These are also safe. Your driver should be able to show you where these shops are. Remember to use the hotel safes or safety deposit boxes for your money and passport. I divide up my $100 or $50 Australian notes into envelopes containing $200 each. I label the envelopes 1, 2, 3 etc. This way I know how much I have left and whether anything has been tampered with. Hotel safes should be without reproach, but I have sometimes heard stories otherwise. ATM’s are available. You can nominate the language you want the machine to use, and it will usually say on the ATM what note and amount it dispenses. Always be sure you don’t reveal your PIN and be careful that you do not leave your card in the machine. 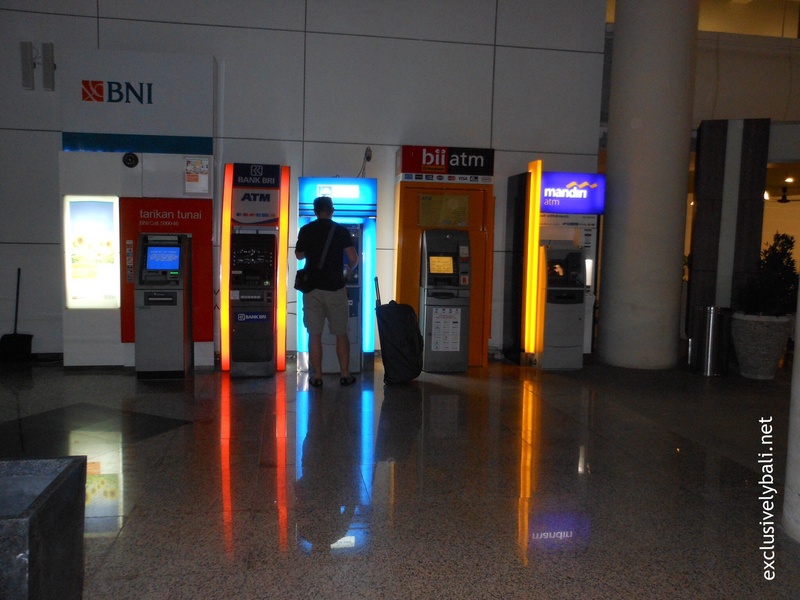 ATM’s are handy to use if you would rather not carry large sums of cash and are a convenient way to obtain local currency at a reasonable exchange rate. Keep in mind that your withdrawal may be subject to a nominal fee for an international transfer, so check with your bank before leaving home. The other point to note is that your bank may freeze your card if out-of-the-ordinary transactions (such as withdrawals in 4 different countries over the course of a week) appear, so keep a copy of your bank’s contact information on hand. Handy if you are taking a large sum of money since it is insured when you purchase this style of currency. Downside: Not as good an exchange rate. Lastly, have fun and spend up. 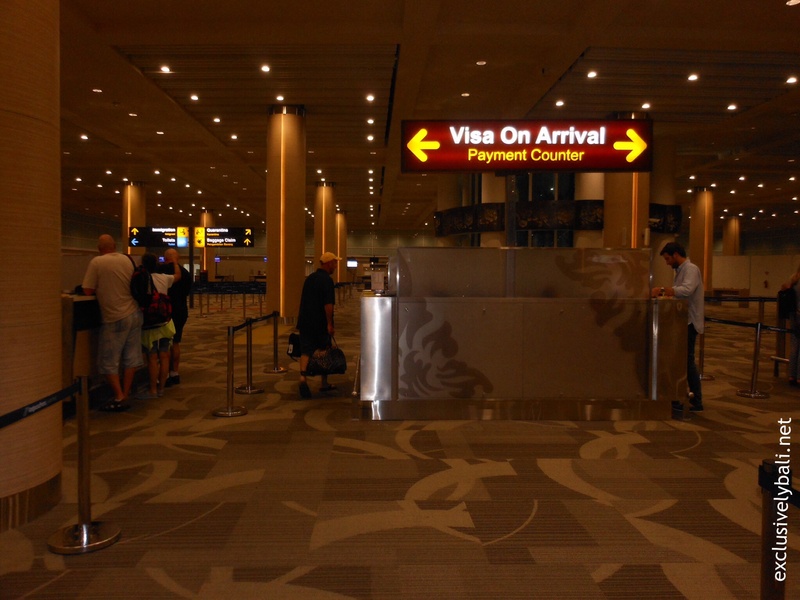 Bali relies on our tourist dollar. 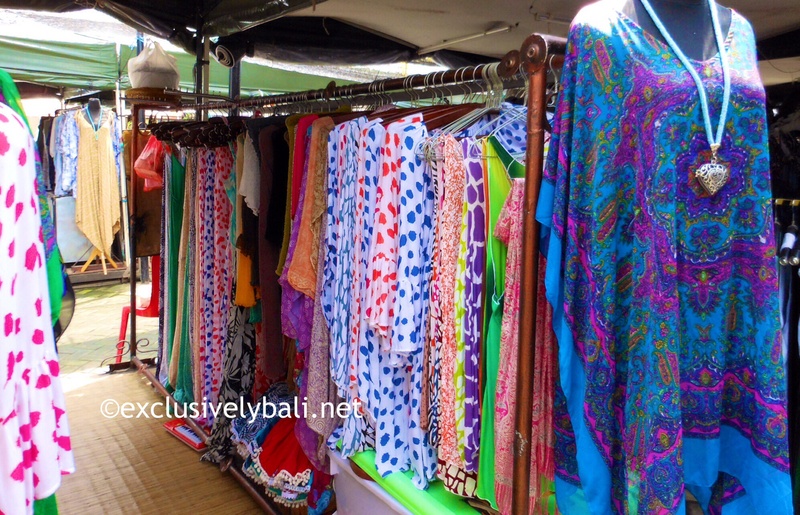 Bali can offer a menagerie of shopping: from one-off designer items to market gear! 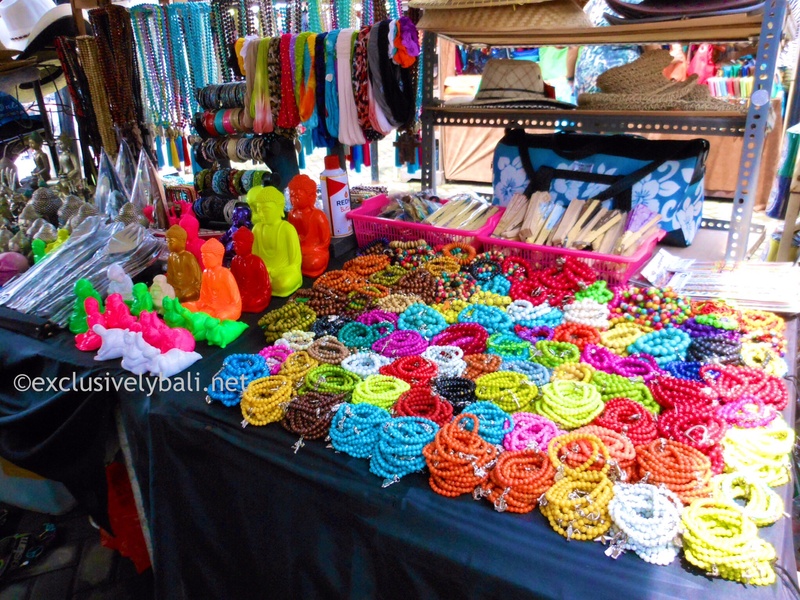 If you’re seeking bargain priced summer and beach fashions including great leather wallets and bags, dress jewellery and shoes, head to the markets at Seminyak (known as Seminyak Flea Markets). 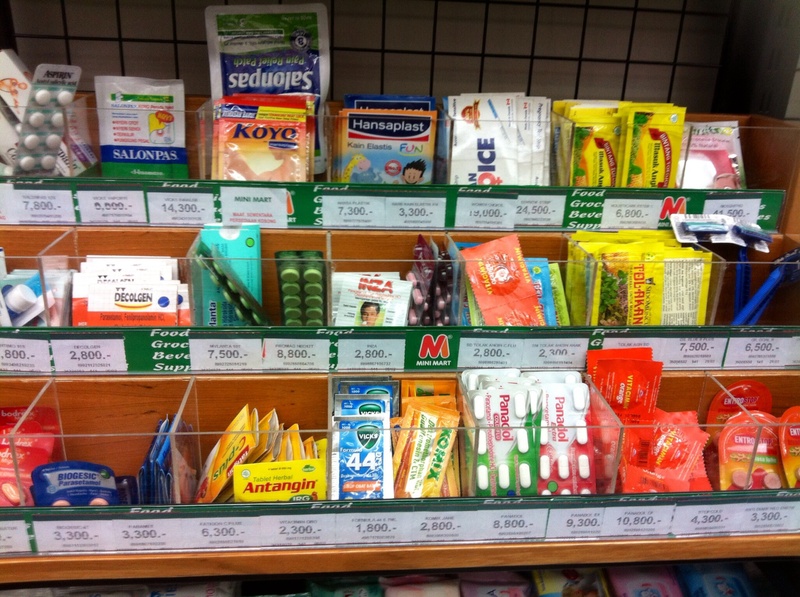 Here you will find a good selection of market type purchases. 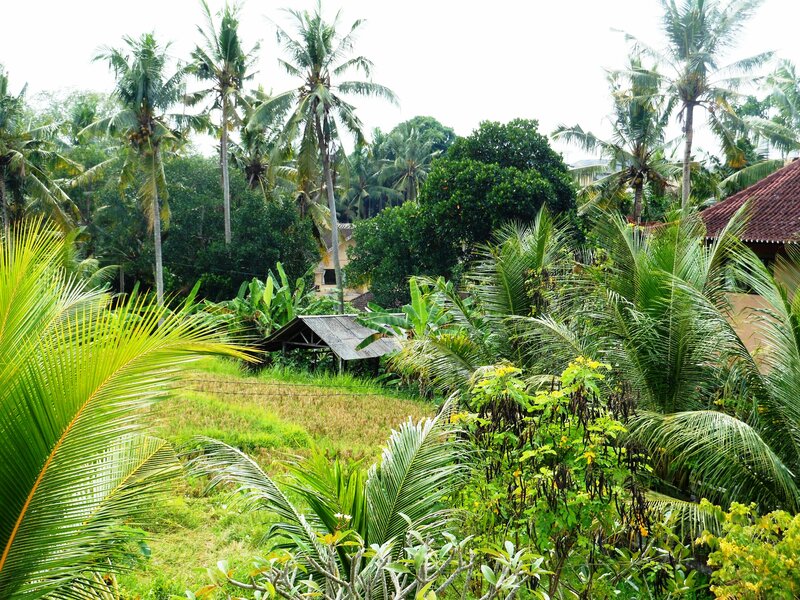 Although you may pay a little more than Kuta or Legian, the quality and design is often improved and more varied, and still at discount prices. Don’t forget to bring a half empty suitcase to fit in all your purchases. HINT: It can get rather steamy under the shade cloth market roofing, so call in at La Sicilia, Seminyak located next door for a cool drink after all your fab shopping purchases. NOTE: Comments and recommendations are based on my own personal opinions or experience.